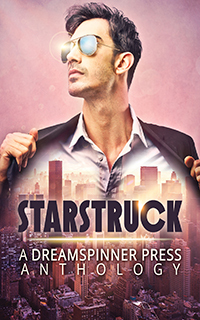 Today is release day for Dreamspinner Press' Starstruck anthology, which includes my MM contemporary short Pride and Panoramas. Cameraman Gregory Ward is thrilled when he’s chosen to work on a new drama based upon a recently discovered “lost” work by Jane Austen, especially since Alaric Devin, an actor Greg has loved for years, is playing the lead. However, Alaric is nothing like the dashing heroes he portrays in his period pieces; he’s haughty and unpleasant, and Gregory wants nothing to do with him. But when Alaric falls ill, he steps in to help, and they see that if they can both move beyond their hangups, friendship and love might be found outside of fiction.